TFL Tours | TFL Tours took part to the Ensemble EXTRAORDINARY! VANCOUVER, BRITISH COLUMBIA – TFL Tours took part to the Ensemble EXTRAORDINARY! in Winnipeg on February 28th and in Vancouver on March 2nd, 2017. The event is an educational with interactive training sessions designed for frontline agents to gain a greater knowledge of select experiential, bucket-list destinations and higher-margin products from number of Ensemble’s luxury, niche, and specialty partners. 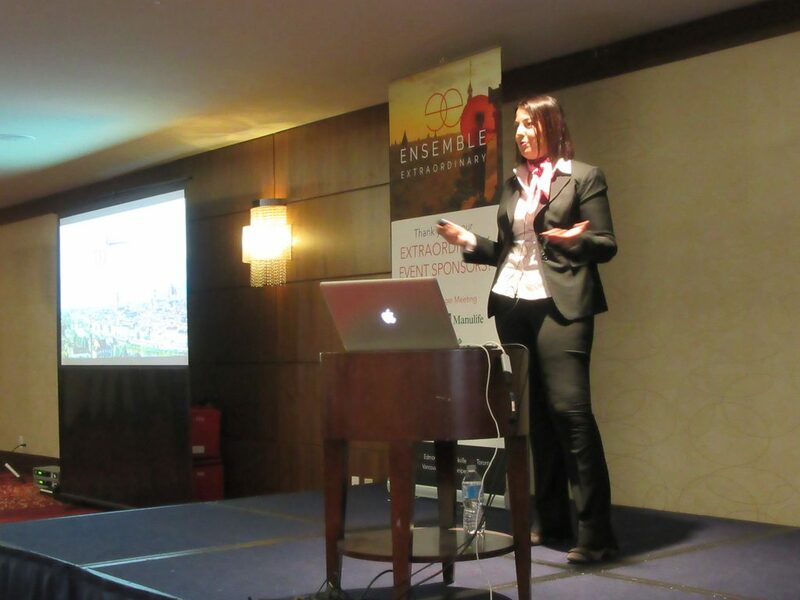 Federica presented TFL Tours to the travel agents with 15 minutes’ speech on stage and then took part to a trade show. Before visiting Winnipeg and Vancouver, Federica also stopped in Calgary and Edmonton to train the Ensemble agents at Travel Time, Tier One Travel, Paull Travel and Cruise Vacations.